Have you always wanted to become a detective? Join our team at the Lock Academy Toulouse and be part of growing young company! Firstly, thanks for your interest in working for our escape game! Lock Academy is more than just the planet’s most prestigious detective school (yes, really! ), we’re also a young company which is growing every day. Started in 2018 in Toulouse by Quentin, Nathan and Thibaud, our brand offers mysteries which have won numerous awards in Paris. 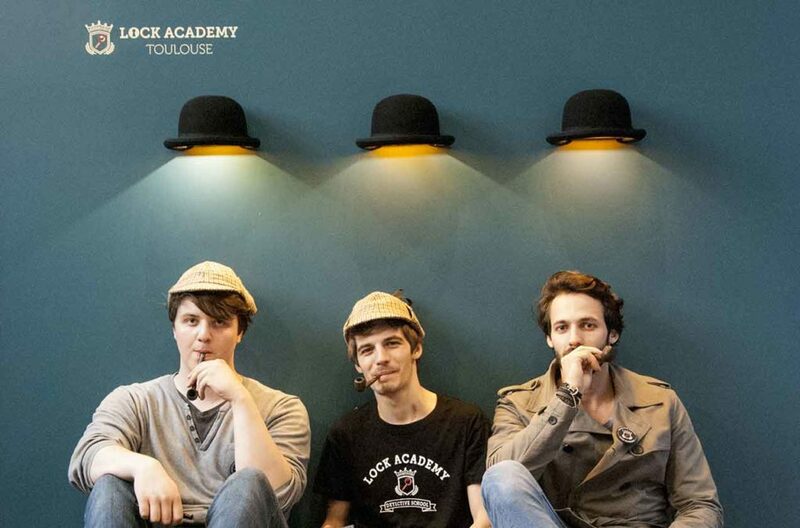 We strive continuously to provide the best experience for our customers, and we need new talent and to help make the Toulouse Lock Academy ever more creative. We hope you find the position of your dreams with us. A job that you’ll love more and with every passing day. We look forward to getting to know you, and hope to count you soon among our amazing team of Professor Lock’s detective-apprentices/children (he’s a real role model)! No openings that are right for you? You can also send us an unsolicited application by emailing us at TOULOUSE [at] LOCKACADEMY.COM.